AI isn’t coming. It’s here. Gartner estimates that AI technologies will be in almost every new software product by 2020. Furthermore, LG even announced at CES 2018 that “This year we’re adding LG ThinQ, our AI platform, to all of our [smart home] appliances” said David Vanderwaal, VP of Marketing. And yet, according to the findings of the Gartner study, more than half of all organizations lack the skills to evaluate, build and deploy AI solutions. For many enterprises, AI must feel like a whirlwind that has come out of the blue. Its rise has been extremely rapid. Interestingly, Gartner notes that at the start of 2016, “artificial intelligence” was not even in the top 100 search terms on its website; however, by May 2017 it ranked at number seven. AI, machine learning and associated disciplines are already making a huge impact on business, and their effects have only just begun. Precisely because AI can be applied to almost any stage of the business cycle, it’s not always clear to clients where exactly they should be focusing investment. Infostretch examined the impact digital transformation is having on QA teams in a survey recently, and unsurprisingly, AI was high on the agenda. More than 40 percent see AI as becoming inevitable in QA and test. However, it also is perceived as challenging to implement. For example, 40 percent of respondents cited concerns about recruiting someone with the right AI skillset. For anyone concerned they don’t have the right skills to introduce AI to their software development and testing, I have a clear message: YOU DO. 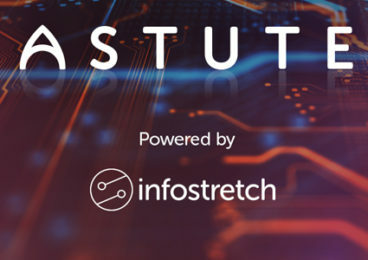 Now, we are a little biased here at Infostretch, but let’s take ASTUTE, our own AI-powered software testing solution as a starting point. ASTUTE allows enterprises to launch digital transformation initiatives in a matter of weeks, as opposed to months, reducing testing efforts by at least 35 percent. ASTUTE can be applied to every stage of the test cycle. For years, software teams have had to negotiate the twin challenges of delivering at speed and delivering better quality. The goal, of course, is quality at speed — but the reality in many organizations is a trade-off between the two. 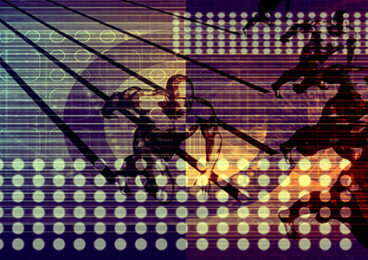 Increasing test automation is the key to delivering both high quality and high speed. To enable automation to work like a well-oiled machine, with minimal manual intervention, enterprises need powerful optimization and data analysis capabilities. That’s where AI comes in. AI thrives on huge data sets! Let’s take test case optimization as an example. TOBOT, Infostretch’s Test Optimization BOT, can componentize test cases for reusability, remove duplicates, deploy combinatorial analysis and optimize the test case repository for ongoing maintenance. It typically takes less than four weeks to set up and requires no specialist AI experience. The results? TOBOT improves quality and gets working apps into customers’ hands more quickly. It ensures up to 100 percent coverage and improves optimization by 30-40 percent. Once TOBOT has worked its magic, redundant test cases are weeded out, automation is quicker and software is released faster. To learn more about how AI can improve testing, listen to our recent webcast, Harness the Power of AI to Optimize Testing Processes here. Or, for a free assessment to see how AI-powered test optimization can help your organization, talk to us today.